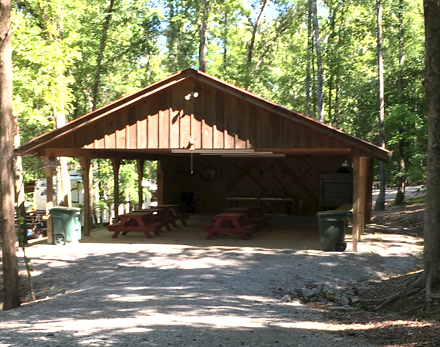 Cedar Ridge Campground of Russellville, AL offers many options to meet your camping and RV needs. Whether you need to stop for the night while traveling, a vacation get away, are working in the area for a few months or need a place for an extended stay, give us a call and we will make every effort to accommodate your needs! Call for our reasonable rates. 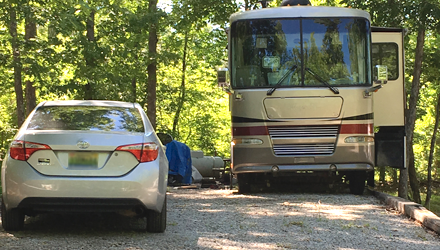 All of our sites are level, shaded and spacious and can accommodate all types and sizes of RV's and motorhomes. Sites include 30 or 50 amp electric, water and weekly pump out service. Just because you're camping doesn't mean you have to rough it. Our Cedar Ridge Camp Store is open five days a week for your convenience. The store sells live bait, cold drinks, snacks and BCDA permits. 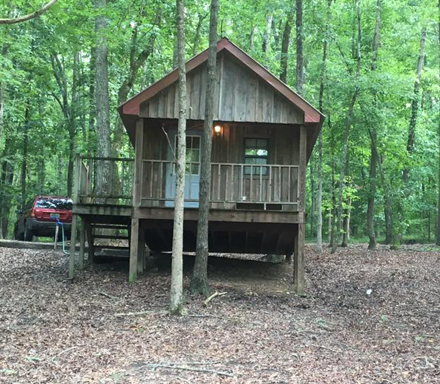 Enjoy a stay in one of our three rental cabins. The cabins are comfortable for two people. Each cabin has a double bed, microwave, refrigerator, heat and air conditioning. Linens available upon request. Outside of each cabin is access to water, a charcoal grill, picnic table and fire ring. The cabins are located a short distance from the clean bathhouse. Pets and smoking are not permitted in the cabins. Check-in for cabins and primitive tent sites is at 2:00 p.m. Check-out time is noon. To make sure that all visitors have a good night's sleep, quiet time is from 10:30 p.m. until 7:00 a.m. daily.